Take you and your family for a visit to the happiest place on Earth! 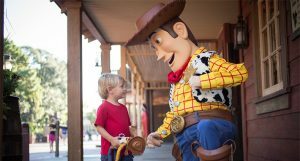 You’ll enjoy the Disneyland Resort and all of Mickey’s friends in some of the best time of the year when the weather is not so hot, and according to some, is when the parks are not as congested. In addition to the magical kingdom of Disneyland, the Disneyland Resort now includes the popular Disney California Adventure park as well as the Downtown Disney shopping, dining, and entertainment complex. You’ll be staying at the Castle Inn & Suites, walking distance to and from the Disneyland Resort. Plus, in this area, there are a lot of conveniently located dining options if you should ever decide to eat outside of the Disneyland Resort. Round trip airfare from Honolulu to Los Angeles via American Airlines. Five nights at the Castle Inn & Suites in Anaheim (taxes included). Book with $75 non-refundable deposit per person. Final payment due by July 1st , 2019. Package is non-refundable after this date. This package is NOT ESCORTED. Starting from $709 per person quadruple(4) occupancy in a standard room with 2 beds. Starting from $779 per person triple(3) occupancy in a standard room with 2 beds. Starting from $905 per person double(2) occupancy in a standard room with 2 beds. Starting from $1,295 per person single (1) occupancy. 10/08/19 – Depart Honolulu on American Airlines flight 144 at 10:30 pm and arrive in Los Angeles at 7:04 am, 10/09/19. 10/14/19 – Depart Los Angeles on American Airlines flight 143 at 2:00 pm and arrive in Honolulu at 4:52 pm.